I recently purchased a house and contacted Fred to get an estimate for some work I needed done after moving in. One of the items on my list was replacing the old water heater. Fred immediately noticed that the water heater was not working properly and had become a fire hazard. He gave me a very reasonable estimate to replace it and had the job completed the very next day. When the city building inspector came out to inspect the work he commented that the job was very well done and completely up to code. I would highly recommend A2Z home improvements. Rob W. Rob W.
Fred from A2Z installed a heat pump water heater at my residence in June 2015. The work involved strengthening a wood floor, bringing wiring up to code, and rerouting plumbing to the water heater. Fred was very professional throughout the bid and construction process. He and his crew arrived at the worksite on time and fully prepared to begin work. Fred answered all of my questions quickly and thoroughly and adapted very well to unanticipated items of work. His crew did an excellent job of cleaning up the worksite when they were done. Fred's wife, Shelley, did a great job of preparing the bid, arranging for the permit, and obtaining the product warranty and technical information for me. I was very pleased with their work and would hire them again. 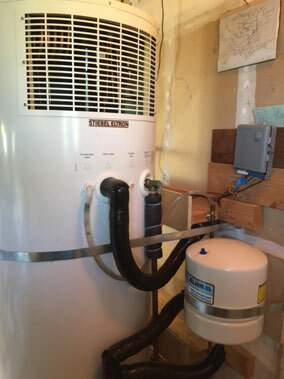 - Mickey H. Wilton, CA Mickey H.
A2Z Water Heaters was an absolute blessing in a time of need. The old water heater at my rental gave out and I had to get an immediate replacement for my tenant. A2Z Water Heaters came out the same day, clearly explained the situation, and quoted options. After I agreed to swap out units, I was tremendously relieved that it could happen the next day. A2Z Water Heaters was punctual, professional, and extremely careful. My tenant and I were left with a wonderful heater and a clean job site. Even the Elk Grove inspector said A2Z did a great job. Thank you A2Z Water Heaters! Fred has done many things for our home over the years. This past year, it was time to replace our water heater, and like everything else he does, he did a high quality job at a fair price. I highly recommend him for water heater replacements, as well as other work needed around your house. Penny N.
I called A2Z for a quote on replacing my water heater. Fred came out the next day and gave me a very fair estimate, which made me certain that I would use his services to do the job. He took customer service to another level by informing me that you needed a permit to do such work and that he would pull it for me form the city so that I wouldn’t have to. I didn’t know it was required, as NONE of the other contractors I had contacted mentioned needing it. Fred told me that he could do the work within the next 2 days and was here right on time as promised. We were and have continued to be pleased with his work. Upon completing the job, he instructed me who to call for the inspection and how to make that all happen. (I also did not know that needed to be done!) 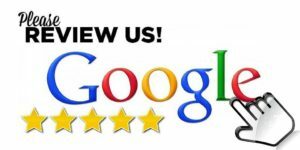 We were very satisfied with not only the work performed, but with the pleasant and professional way Fred handled the job. I spoke with Shelley several times on the phone and each time was very happy with how kind and professional she was as well. A2Z will always be first on my list when repairs or improvements need to be made!!!! Sharon & Brian H.